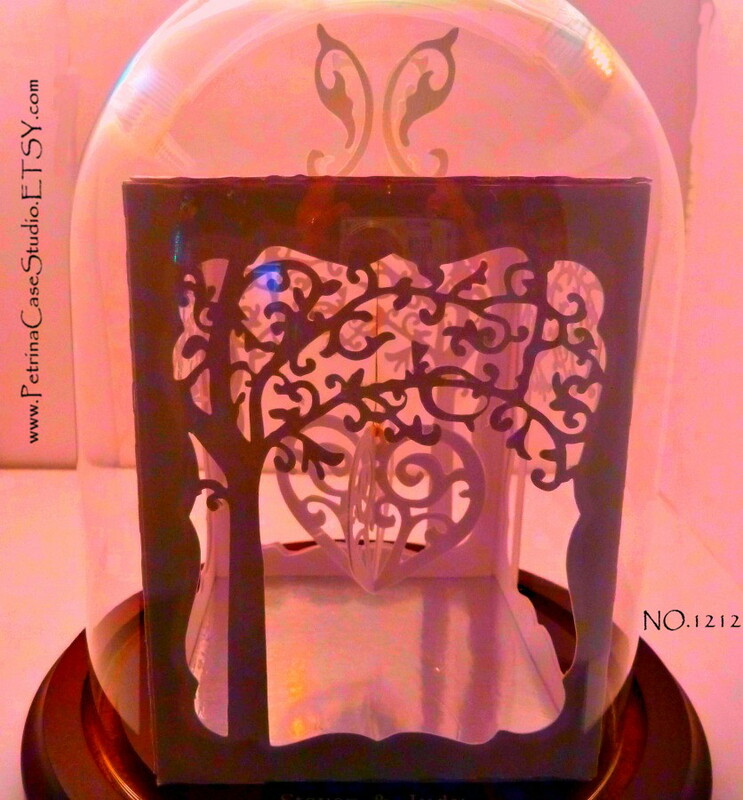 Heart in Forest Box Sculpture – Put your hopes and Dreams in. 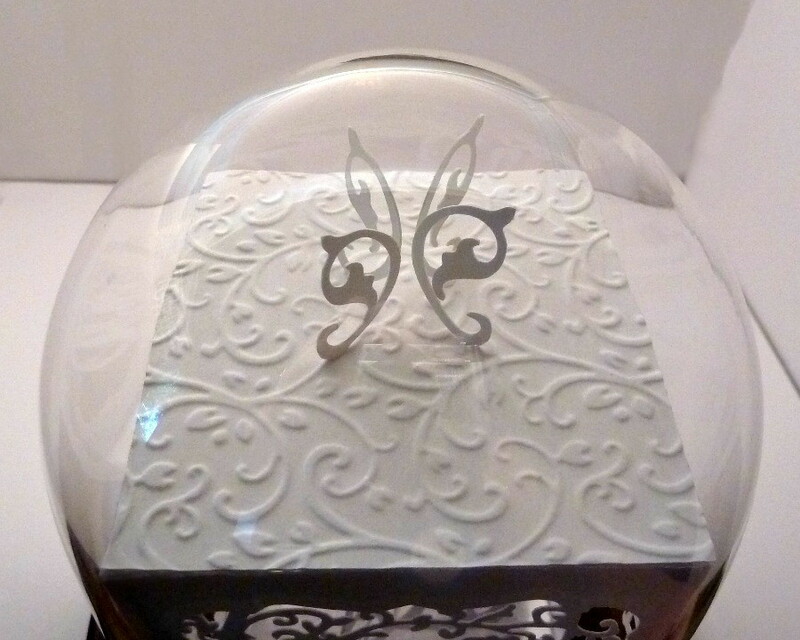 I embossed the top. Hung the 4 sided heart from a gold string. Can be made from Wedding Invite, Valentine Card, Business Cards, Your photos, Artists Cardstock Paper…et al. 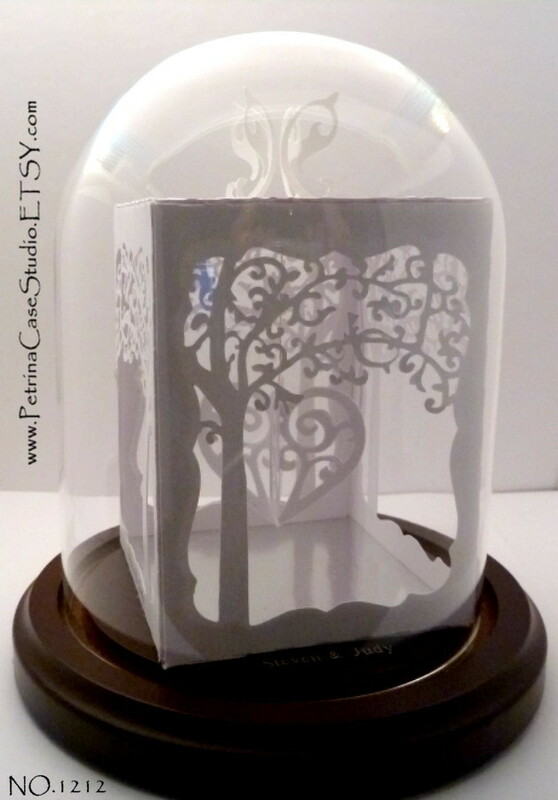 Made from your Wedding Invitation or Valentine Card or just Artists cardstock paper. 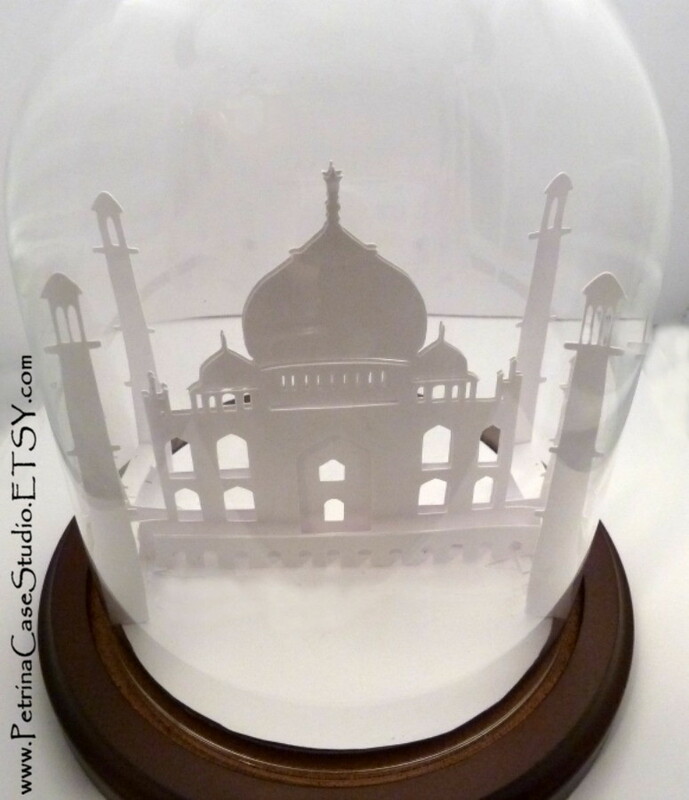 I handcut the Taj Mahal and secure it to a wood base, under a glass dome.